Source code to PC/GEOS has been published to GitHub #VintageComputing #MSDOS #GUI #Commodore « Adafruit Industries – Makers, hackers, artists, designers and engineers! 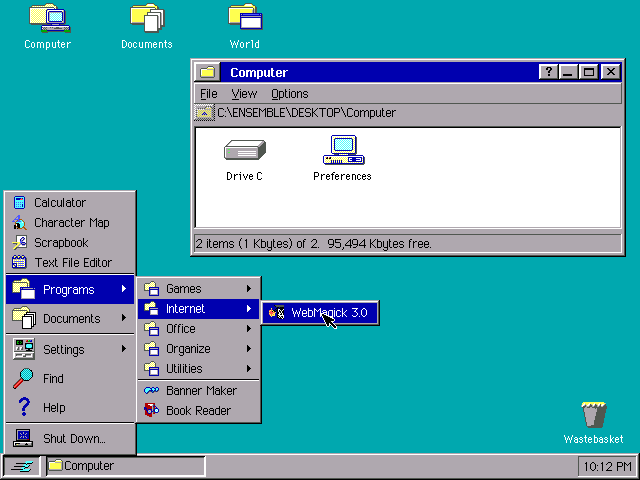 Does the above picture look like an early version of Microsoft Windows? You’d be wrong. This is GEOS and it was released well before WIndows, starting on the Commodore 64 and ported to MS-DOS as PC/GEOS. THE BIG NEWS: the source code for PC/GEOS was recently released on GitHub here! This repository is the official place to hold all the source codes around the PC/GEOS graphical user interface and its sophisticated applications. It is the source to build SDK and release version of PC/GEOS. It is the place to collaborate on further developments. If you would like the Commodore GEOS source code, it is also at GitHub here having been reverse engineered two years ago. If you’d like a lightweight GUI that’s similar to the GUIs today, this may be something you want to look at. Thanks to @Foone for posting the PC/GEOS info on Twitter.